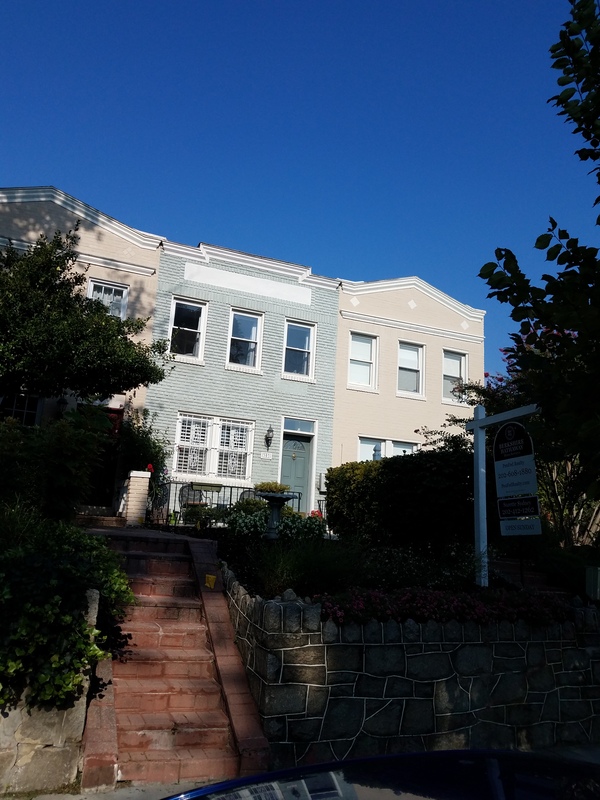 303 17th Street, SE – It’s yours for $649,000. Labor Day. No trash or recycling pick up until the following day. No parking enforcement. ANC6B Planning & Zoning Committee meets at 7:00pm at St. Coletta’s, 1901 Independence Avenue, SE. Public Space Application for Emergency Utility Work on Brown’s Court in the Capitol Hill Historic District. Public Space Application for the installation of exterior lighting at Barrel, 613 Pennsylvania Avenue, SE in the Capitol Hill Historic District. 220 2nd Street, S.E., Lot Area Variance to add 13th apartment rental unit in basement of existing 12 unit apartment house. 602 E Street, S.E. Permit/construction of new building at rear of lot. 326 A Street, S.E., Concept/new three-story side & rear additions. 600 Pennsylvania Avenue, S.E. Concept/installation of storefronts. 226 Kentucky Avenue, S.E. Updated plans for 3rd story addition to existing flat. 418-420 7th Street, S.E. Updated plans for proposed condo conversion. 400 D Street, S.E. Updated plans to construct 5 new townhouses. 523 8th Street, S.E. 3rd Story rooftop deck w/ Retractable Roof & Rear Addition. ANC 6C Parks and Events Committee meets at 7:00pm at Kaiser-Permanente Capitol Hill Medical Center (700 2nd Street, N.E. NoMa Parks – Update from NoMa Parks Foundation concerning the status of NoMa parks projects. D.C. Services & Neighborhood Issues – Discussion with Councilmember Charles Allen’s office regarding neighborhood issues and D.C. services, including responsiveness of city agencies to matters involving or impacting parks and public spaces. Representative: Naomi Mitchell, Community Liaison, Office of Councilmember Charles Allen. CHRS Historic Preservation Committee meets at 6:3ppm, Kirby House, 420 10th street, SE. ANC6B Transportation Committee meets at 7:00pm in Hill Center, 921 Pennsylvania Avenue, SE. Update on Implementation of Changes to Pennsylvania Avenue, SE, traffic signals. Update on Pennsylvania Avenue, SE, Lighting Project. Discussion on Resident Only Permit Parking. Daytime School Parking Zone Amendment Act of 2017. ANC 6C Planning, Zoning, and Economic Development Committee meets at 6:30pm in Northeast Library, 7th and D Streets, NE. 626 Lexington Place, N.E. A special exception from the nonconforming structure requirements and a variance from the height requirements to construct a partial rooftop addition to an existing two-family flat. 10 3rd Street, N.E. Application for a special exception for an area variance from the minimum land area requirements to permit the conversion of an existing residential building existing prior to May 12, 1958 into an apartment house with three units and a roof deck in the RF-3 Zone. 434 4th Street, N.E. Application for permit approval for side and rooftop additions. 304-308 K Street, N.E. Application of 304, 306, 308 K Street NE, LLC, for special exceptions from the general penthouse regulations and from the penthouse setback requirements of for a variance from the minimum lot dimension requirements to subdivide two existing lots into three record lots and to construct three attached flats in the RF-1. 522½ K Street, N.E. Application for a modification of significance to permit the addition of an accessory fast food establishment to an existing retail grocery store, expand the retail use to the basement, eliminate the restriction on operating hours, eliminate the cap on the number of employees, and eliminate the cap (currently zero) on customer seating in the RF-1 zone. Special meeting of the Eastern Market Community Advisory Committee (EMCAC) at 7:00pm in the North Hall of Eastern Market. There will be one agenda item , consideration of an Advisory Report to The Department of General Services regarding the blocks of 7th street that are located in the Eastern Market Special Use District. ANC6B Alcohol Beverage Control Committee will meet at 7:00pm in Hill Center, 921 Pennsylvania Avenue, S.E. 507 K, LLC t/a SkillZone, 709 8th Street, S.E. New Retailer’s Class “D” Tavern License, Private Club w/ 70 seats, Total Occupancy of 174 person, “Members-Only” Social events for parents; Serve Beer & Wine Hours sought: Mon-Thur. 9:00am – 6:00pm; Fri & Sat. 9:00am – 7:30pm; Sun. 9:00am – 7:00pm. Hanks on the Hill t/a Hanks Oyster Bar, 633 Pennsylvania Ave SE, Consideration of Withdrawing Standing Protest. Police Service Area (PSA) 107 public meeting, 7:00pm, Southeast Library, lower level. Friends of Southeast Library (FOSEL) meet at 5:30pm, Southeast Library, lower level. Hill East Residents pitch in for a community litter cleanup. Meet at 9:00aminfront of the 7-Eleven on the corner of 15th and Independence Avenue, S.E. Litter bags and sanitary gloves will be provided. 7-Eleven Corporation and store manager Gursharan Singh will serve complimentary coffee and donuts. Volunteers will fan out on the surrounding streets for about an hour to pick up street trash.